Come explore St. Augustine, a great family destination in northern Florida that blends historic and modern attractions into a nice, mellow vacation mix that’s ideal for multigenerational getaways. Many tourist destinations tout only their newest attractions, but most people come to St. Augustine to see what’s been around for a long time. And, despite its most famous attraction, when my wife and I first visited here almost two decades ago with small children, we found it was a family destination that offered something for all ages. Seniors are among the million or so visitors who come here and find the old historic area is only about eight blocks square, and easily walkable. If your family can’t or doesn’t want to walk, there are horse-drawn carriage tours and sightseeing trains. Historic Tours of St. Augustine (904/829-3800) lasts 90 minutes and stops where passengers can get off and on at will, as many times as they want. Tickets are good for three days. Visitors can buy various tickets to see some of the 85 historic sites and attractions. 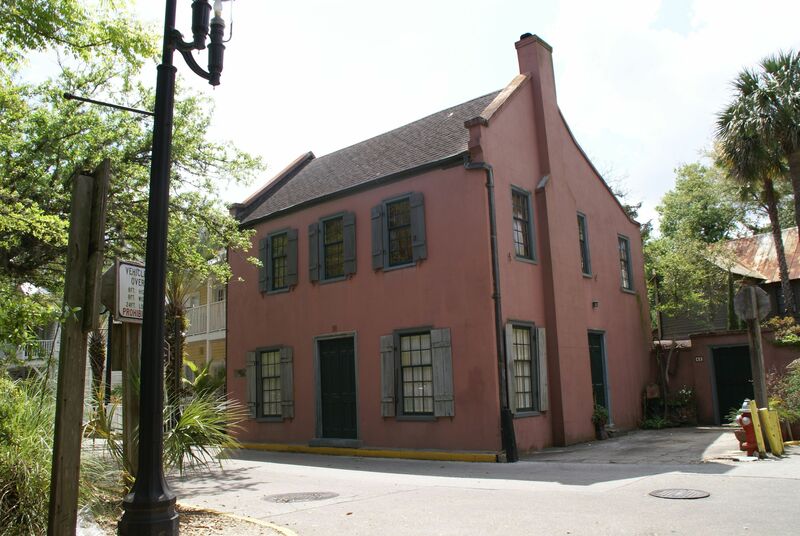 One definitely worth a peek is St. Augustine’s Oldest House, also known as the Gonzalez-Alvarez House (904/824-2872), dating back to 1727. One recent addition to the historic homes is the Old St. Augustine Village (904/823-9722), where costumed guides take visitors through nine homes and a country store depicting life in the 16th century. Children and grandchildren usually like the Oldest Wooden Schoolhouse (888/653-7245), especially if they think their own classrooms are modest. This school, dating back to 1763, shows an old classroom with life-sized figures of a professor and pupils, rare schoolbooks and tools that used to be common, such as slates and slate pencils (talk about primitive). 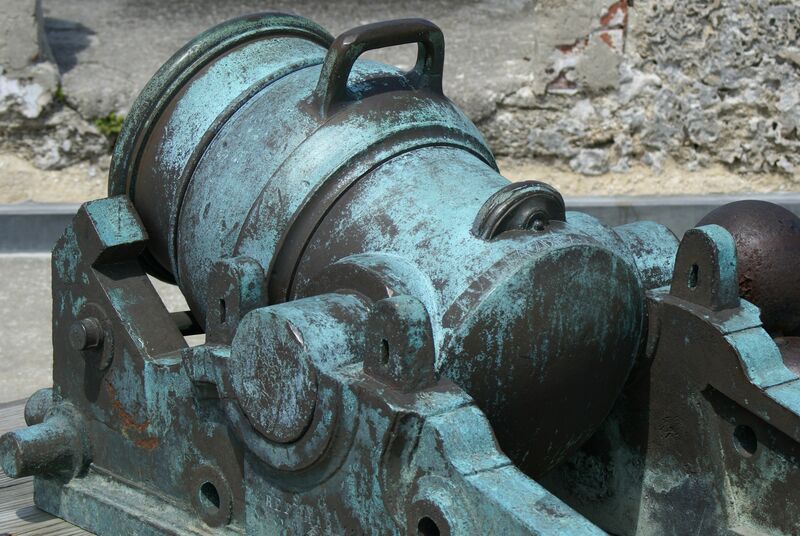 St. Augustine is a small town that has a variety of activities, at least during the day, and its offerings to visitors have steadily increased in the almost two decades we’ve been visiting. Visitors can even take in a winery without having to worry about driving home. The San Sebastian Winery (904/826-1594) is only a few blocks from the historic area; there are free daily winery tours and tasting hours. There’s also wheelchair access and an elevator. If you’re with children too young to appreciate wine, you might reward them with a dessert — a visit to the Whetstone Chocolate Factory (904/825-1700) where they’ll show you how chocolate is made. When my wife and I visited here long ago, we put at the top of our list the coquina-stone Castillo de San Marcos (904/829-6506). This dingy, prison-like castle with hard dirt floors was started in 1672 and took 23 years to complete. Blood-soaked battles took place here which involved the British, the French and the Spanish. Our young children at that time were far more interested in Ripley’s Believe It Or Not! (904/824-1606), so we compromised and went to both. Other Ripley-like attractions children may prefer to historical homes include the St. Augustine Alligator Farm (904/824-3337), which has 2,700 gators and crocodiles, as well as monkeys, exotic birds and giant tortoises. Not far away is the Potter’s Wax Museum (800/584-4781), which has 160 famous figures including Michael Jordan. If you decide there’s so much to do and you want to spend a night or more here, one of my own favorite hotels is the Casa Monica (904/827-1888), in the heart of the historic district and once the old Henry Flagler hotel built in 1888. The 138-room hotel known for its excellent service is listed on the National Registry of Historic Places. It’s the only Four-Diamond AAA rated hotel in the area. Even if you don’t stay there, try the 95 Cordova Restaurant, which is somewhat pricey but has won various awards as one of the best in the area. If your taste is more towards B&B’s, there are over 30 of them here. They routinely include ceiling fans, fine collections of antiques, heart-of-pine wood floors, richly upholstered sofas and large, often wrap-around porches where guests can relax in rocking chairs surrounded by banana and bougainvillea, and brilliantly colored tropical plants. Among my own favorites are the St. Francis Inn (800/824-6062), the city’s oldest B&B, and the Casablanca Inn though it’s hard to find negatives with virtually all of them. For restaurants, I often head to the second floor balcony of the AIA Ale Works, where you can see traffic passing over the Bridge of Lions and leisurely moving sailboats in the Matanzas Bay. Try one of the beers from AIA’s on-site microbrewery. Any fish dish is excellent and there are a variety of kid-pleasing entrees. When I first started coming to St. Augustine, good restaurants were rare. But today, I know people who come from as far away as Orlando (about 100 miles) just for the dining. One of the reasons can be found at the Lightner Museum, an eclectic collection of 20,000 items ranging from Tiffany glass to oriental art. The Café Alcazar is open only for lunch, and white linen tablecloths cover upwards of two-dozen small tables where gourmet dishes change daily. Other restaurants favored by local families include the Creekside Dinery, which has a waterfront setting. Views of the saltwater marshes are a highlight of another local favorite, the casual Salt Water Cowboy’s located in a turn-of-the-century fish camp. Still another popular place is O’Steen’s Restaurant, which claims to have “St. Augustine’s First Fried Shrimp.” The restaurant offers gargantuan portions for mostly fried food. It’s so popular that locals are reluctant to wait for tables and almost invariably order take-out. There’s not a lot to recommend for St. Augustine’s nightlife as most of the attractions are closed. Only a handful of taverns are open in the historic area. But there are some places to hang out after hours, such as Scarlett O’Hara’s, a popular place for young people, particularly those who come for the Southern BBQ and the oysters by the bucket. Daytona Beach, about an hour away, has a lot more entertainment, but similar to that city, there are areas you can drive on the beach — a 12-mile stretch for a $5 per vehicle fee, one way. Others things to do in St. Augustine include upwards of a half-dozen ghost-related walks, haunted boat trips, and other things that go bump in the night. For golfers, what they call world-class links are available at the World Golf Village, only eight miles away. Jack Nicklaus and Arnold Palmer designed the courses. And for shoppers, there is the St. Augustine Outlet Center which has 90 well-known brand stores. If you go during warm weather, you can’t help but notice that the area has something like 42 miles of beachfront. The famous “Beach Doctor,” Stephen Leatherman, does not rate these beaches among Florida’s best, but they’re certainly good enough for a visit. Perhaps the best time to come, however, is at Christmas, when the city celebrates the Night of Lights. From Thanksgiving till the end of January, the city glitters with a thousand lights that help even more to illuminate the rich history of St. Augustine. 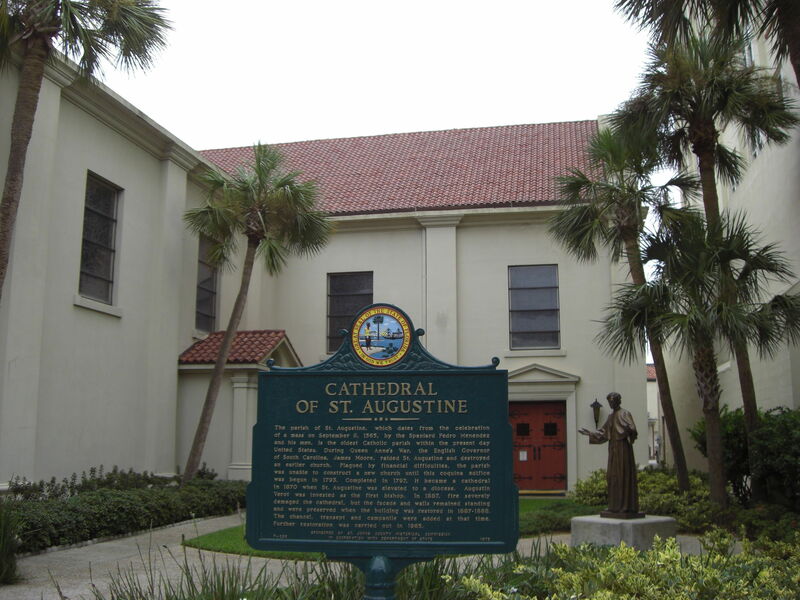 For more information about St. Augustine, try their tourism website.